Carmelo Anthony’s marriage to La La, which has been on the rocks for some time now, is not about to get any better. 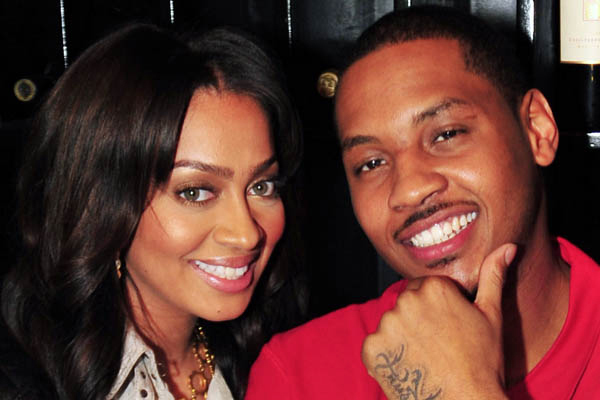 TMZ has reported that one of the reasons Melo and his wife are currently separated is because La La found out that he may have impregnated a dancer who works at a New York City gentlemen’s club. The woman Anthony allegedly had an affair with says she is more than six months pregnant and is planning to demand medical expenses and financial support for other child-related costs. La La has been very supportive of Carmelo over the years and has also indicated that she still wants him to stay in New York, but with this potential game changing news perhaps La La will stay behind in The Big Apple even if Carmelo is traded this offseason. The couple has been married for almost seven years following a four-year engagement. They have a 10-year-old son named Kiyan. News of the alleged pregnancy came just one day after news of their split. As of yet, neither side has filed divorce papers but don’t expect a reconciliation.